Course Website: Official Website - Visit Stock Farm Golf Club's official website by clicking on the link provided. 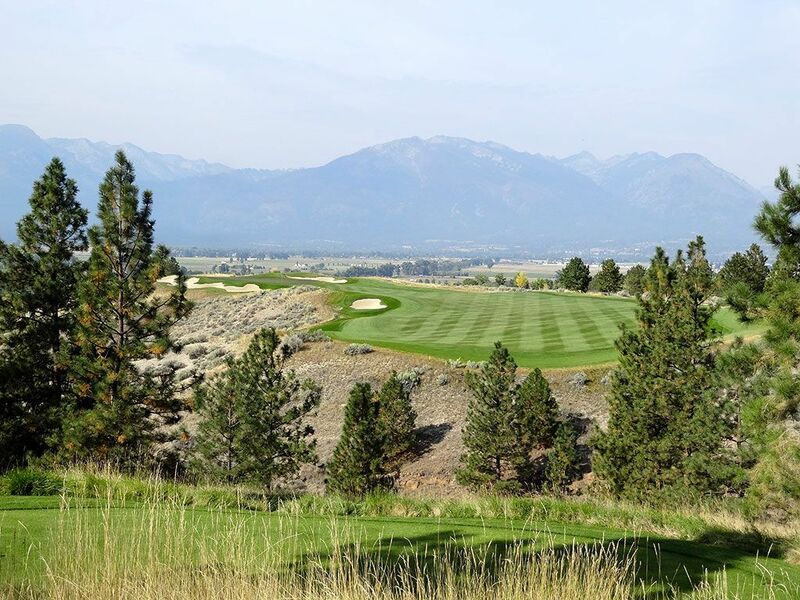 Accolades: Ranked 6th in Montana on Golf Course Gurus' Best in State list. 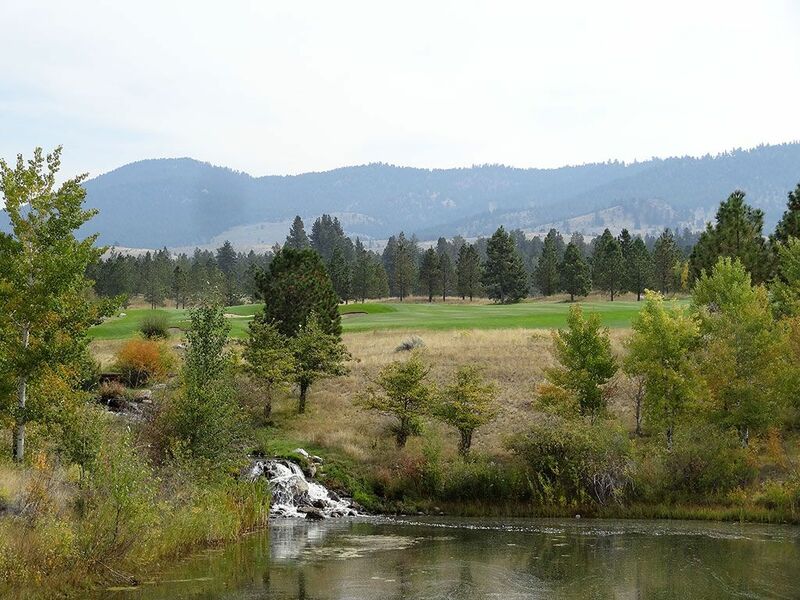 What to Expect: Charles Schwab's love for Montana was manifest when he developed the ultra exclusive Stock Farm Golf Club in the quaint town of Hamilton about an hour south of Missoula. Upon being granted access through the private gate, you drive for 2-3 miles past beautiful homesites featuring beautiful farm style architecture. Upon arriving at the clubhouse you can't help but be impressed by the stunning woodwork, quality craftsmanship, and impressive attention to detail. 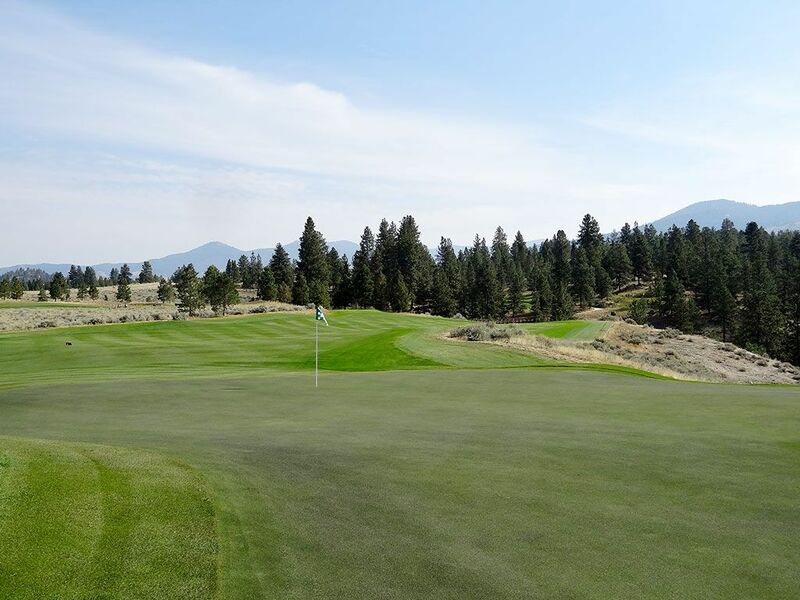 Due to the limited membership, the course only experiences 5,000 - 6,000 rounds a year which, combined with an excellent greenskeeper, maintains the course in immaculate shape. Unlike most Fazio courses that tend to reach their climax on the final three holes, Stock Farm reaches its peak with holes 2-4 (all par 4s) which will capture the eyes and heart of most players. The outward nine is the more appealing of the two sides with more impressive elevation changes and engaging designs. However, Fazio does a great job throughout the entire layout of highlighting views of the Bitteroot mountain range that captivates the area. Service is clearly a top priority at the club which is evidenced at the valet parking, in the dining area, and when the maintenance crew quickly hides in the trees when players come to a hole they are working on (which I got a kick out of). 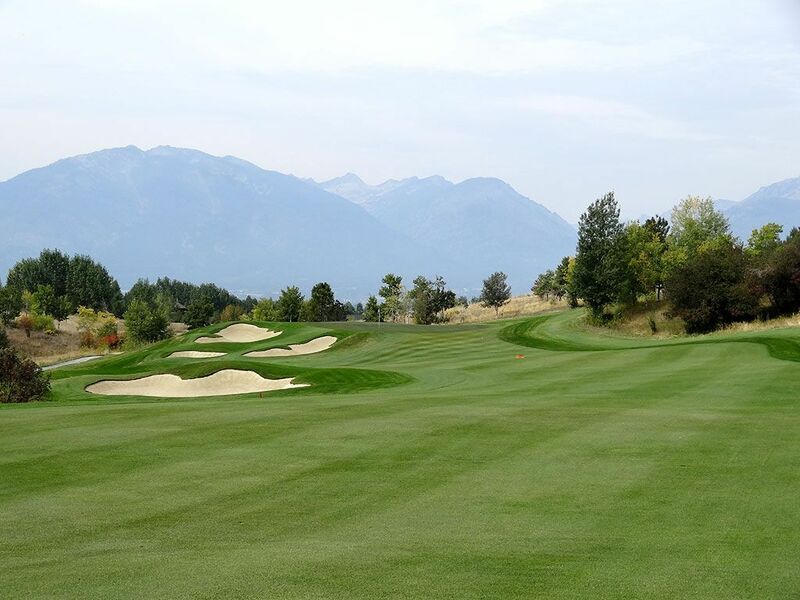 The course isn't overpowering from the tips (just over 7000 yards) as the fairways are pretty generous and the high elevation gives you extra carry. You'll contend with a few water hazards along the way with the largest one being a pond along the left side of the par five 8th hole. The bunkering is plentiful without being overbearing and rarely has to be contended with on both sides of the fairway with your drive. 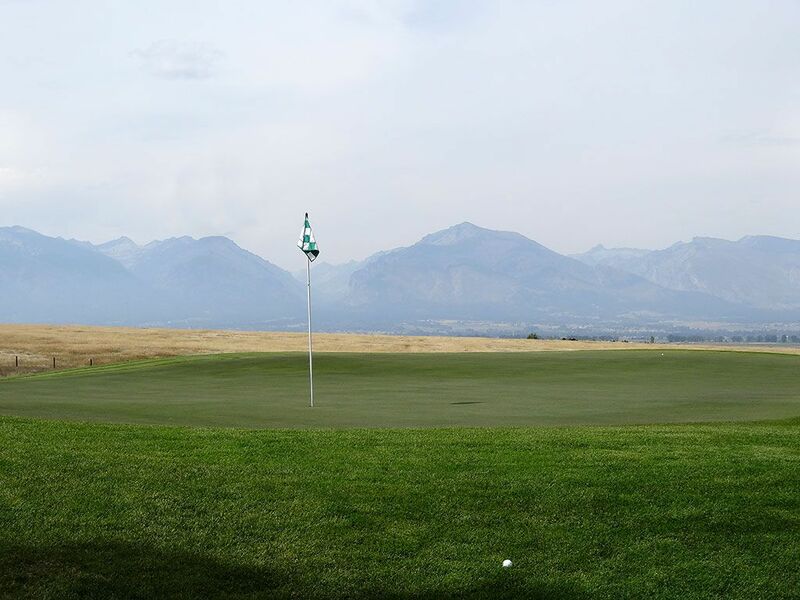 In the end, Stock Farm is a special experience and certainly a contender for Montana's finest course. 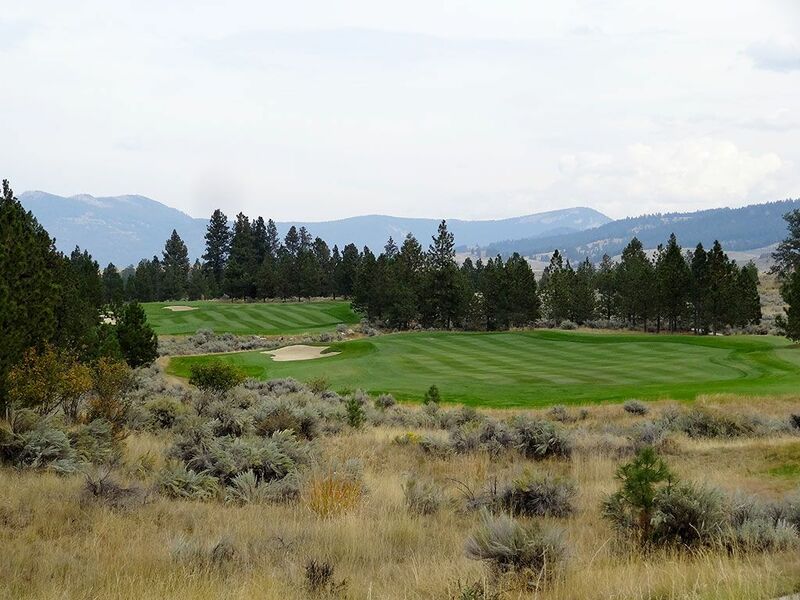 Signature Hole: 3rd Hole – 356 Yard Par 4 – Stock Farm wastes no time unveiling its best hole with this stunner that quickly grabs your attention and your heart. 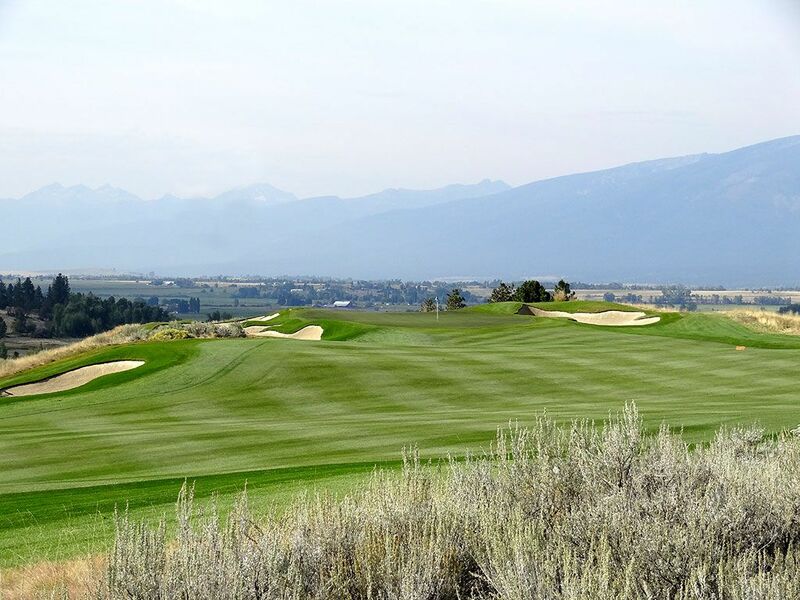 Beautiful views of the Bitteroot mountains capture your eye as you gaze down the fairway built on a ridgeline. The hole doglegs left around a fairway bunker before leading to a green protected by deep bunkers on each side with the left bunker running the length of the putting surface. The forced carry over the ravine off the tee coupled with the infinity edge green pair up to create a stellar combination on a beautiful hole that certainly won't disappoint. Best Par 3: 12th Hole – 164 Yards – Easily the most compelling par three on the property, Fazio once again takes advantage of the mountain views by utilizing them in the background of this downhill one-shotter. Trees squeeze the playing corridor demanding accuracy from the golfer as they must also dial in their distance while carrying a creek and bunker to successfully reach the green. Playing directly west towards the Bitteroots and offering the most compelling settings of the par threes, the 12th hole is easy to enjoy. Best Par 4: 4th Hole – 438 Yards – The most dramatic tee shot of the day is found on the 4th hole that plays from one of the highest points on the course down to a fairway that doglegs right around a pair of bunkers. There is plenty of room to the left for golfers wanting safety off the tee, however challenging the dogleg will significantly reduce the approach shot as well as present a superior angle into the green. 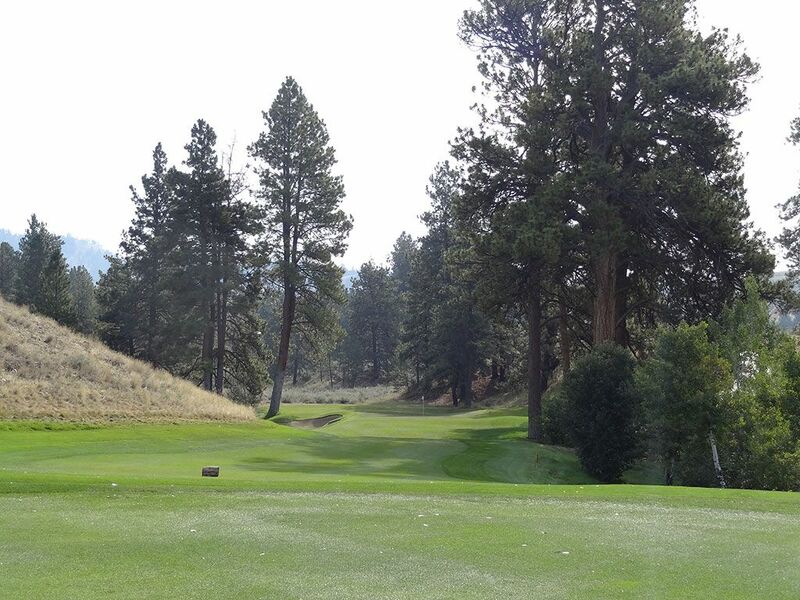 The green is tightly framed by towering pine trees that can often swat away less than perfect approach shots proving both rewarding or frustrating depending on the result. 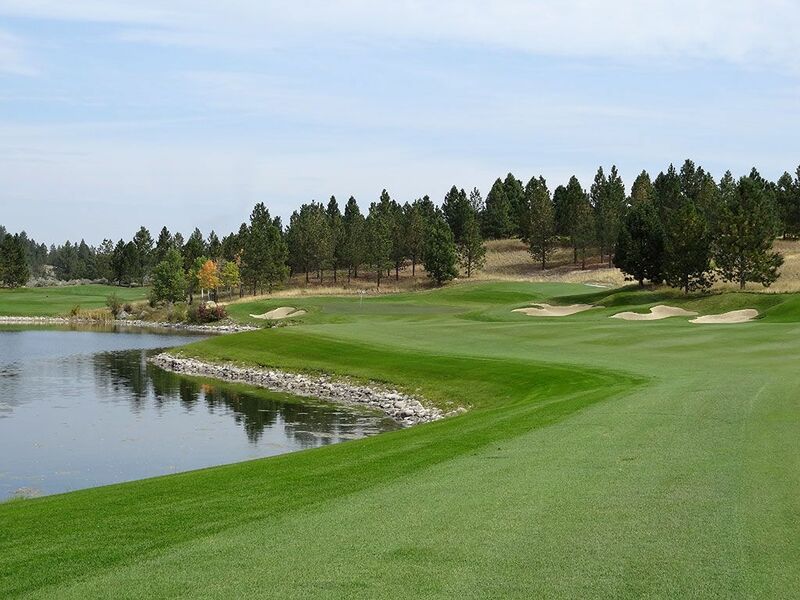 Big numbers are common on this hole which makes it especially rewarding when you manage to play it well by navigating the daring tee shot and challenging approach. When you think back on your round at Stock Farm you will not forget this hole. Best Par 5: 8th Hole – 537 Yards – The last par five on the front nine provides players an opportunity to reach it in two if they are willing to challenge the water that runs up the left side. The hole doglegs left off the tee before opening up to a view of a trio of bunkers protecting the right side and a large pond flanked by rocks on the left. The opening to the green is relatively generous and should spark confidence in players looking to take a long club into the hole on their second shot. The tiered green offers one more enjoyable element to consider on this par five that balances risk and reward in an excellent way. Birdie Time: 16th Hole – 494 Yard Par 5 – At the high elevation that Big Sky country offers, players should be licking their chops at the opportunity to slay a par five that tips out at less than 500 yards. 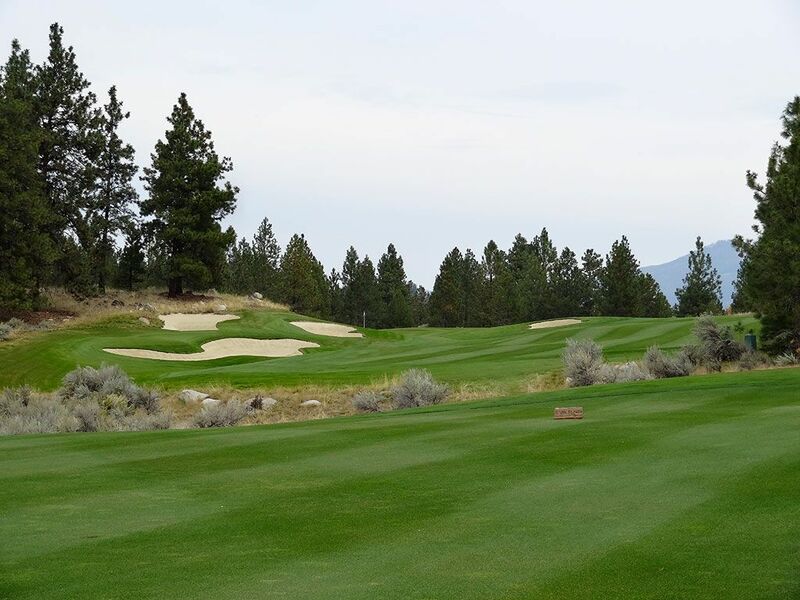 The hole climbs slowly but steadily uphill from tee to green and features a natural waste area that crosses the fairway and effectively creates a decision for players on the tee trying to decide whether they can carry it or not. The hole turns to the left and features some bunkering as the lone defense enroute to the inviting green. Pars here will be unfulfilling while bogey or worse will surely put a stranglehold on teeing off last in your group on the next hole. 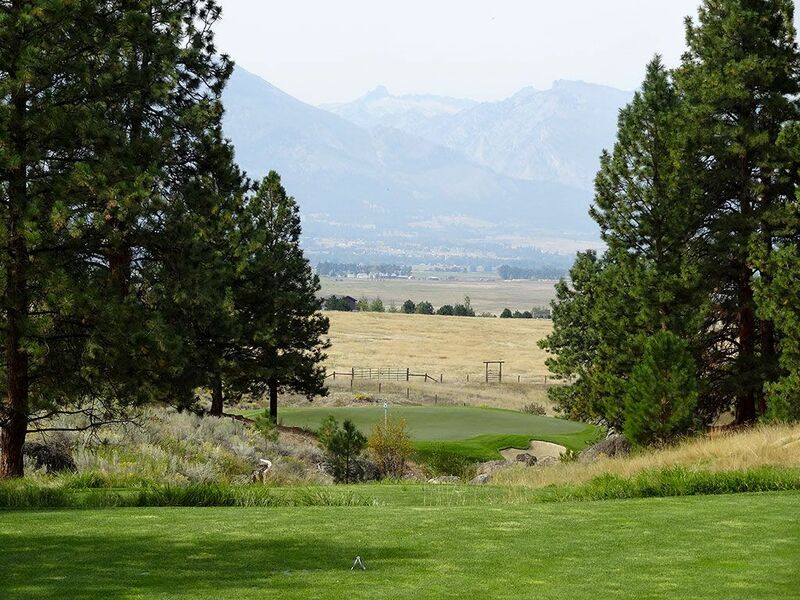 Bogey Beware: 6th Hole – 615 Yard Par 5 – I don't care what the elevation is in Montana, 615 yards is a lot of turf to successfully navigate on a par five. 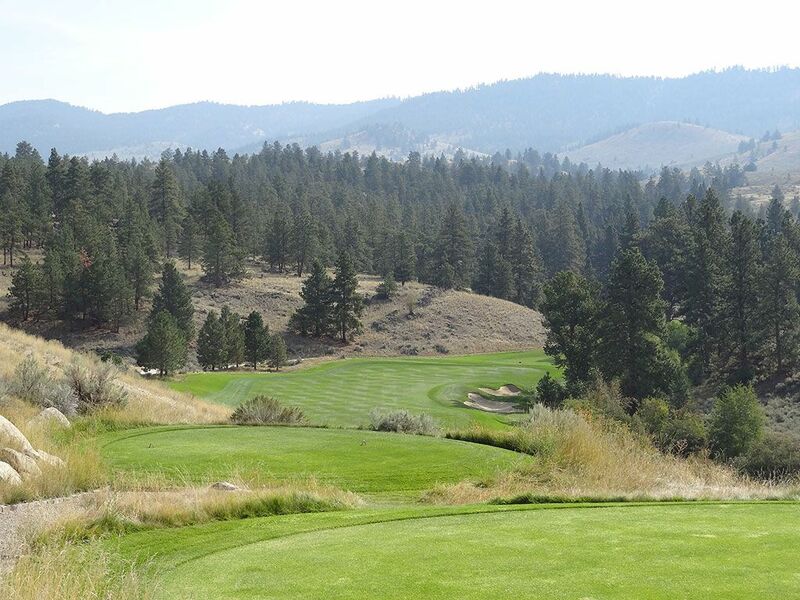 The tee shot boasts a forced carry over a natural sagebrush area to a fairway slithers downhill before doglegging up and to the left. Fairway bunkers are found on both sides of the short grass before going up to the green where a deep bunker sits off to the left and presents one of the most difficult up and down scenarios on the course. Trouble lines both sides of the fairway the entire length of the hole thus requiring players to display superior accuracy and length throughout the hole; a challenging combination for most of us hacks.